Brits are notoriously insane, and there is no shortage of fun activities for men in England, London in particular. From a vast cultural heritage spanning more than a thousand years, to fistfights in sports pubs and eating pig’s blood for breakfast, you are guaranteed to have a memorable time in The Great Wen. Here are the absolute must-dos with your mates in London. Do you want to be like Pierce Brosnan or Daniel Craig chasing a villain down the Thames, or do you want to be the villain himself that always gets away as if there was absolutely no river patrol whatsoever in the 21st century? Whichever you choose, you can book an adrenaline-fuelled boat ride down the iconic river where the famous chase scenes were filmed with 007 music blasting away as the guide portrays a unique story of the 007’s history and the mysteries surrounding the British secret service. Chances are at least one of your mates is going to hurl or pass out, so that’s always fun as well! When it comes to partying, London is your year-round non-stop ticket to the wildest music festivals on the planet. Festival enthusiasts and those looking to have an amazing unsupervised time with their friends are spoilt for choice in and around London, as the capital hosts some of the biggest names in the music industry, veterans and up-and-comers alike. The biggest and predictably the wildest upcoming festivals are the British Summer Time Hyde Park 2017 festival headlined by Green Day, The Killers and Kings of Leon, as well as the Wireless festival featuring the most prominent performers in the hip-hop and R&B music scene. Located at a secret spot near the King’s Cross station lies a true adventure imbued with mystery and various challenges that will employ all of your collective brain power (so perhaps you’re screwed) to solve complicated riddles and overcome many obstacles, moving through different eras in history. You will have to battle your way through Aztec, Industrial, Futuristic and Medieval stages, earning crystals after completing each challenge, which will allow you to take on the final one‒ the Crystal Dome. It is a truly amazing experience that will have you begging for a refreshing cold pint afterwards. How about you take things down a notch from all the partying and hurling, and settle for a testosterone-filled evening of playing poker, smoking cigars you pretend to like, and being waited on by a team of private chefs in London centre, preferably in a hotel room with a magnificent view of the vibrant and sinful streets of downtown Westminster. Complement the night with some obligatory female company, and boom ‒ you are refreshed and ready to conquer the day to come! Remember when we said that there is no shortage of excitement in London? Well, there is also no shortage of adrenaline and terror, especially if you dare to venture into its underground labyrinth of clubs, bars, and the bare-knuckle boxing event this city is famous for. Don’t worry, you don’t have to fight, but you can bet, cheer and curse as much as you want, just make sure not to step on anyone’s toe, because you will be prompted to demonstrate your sprinting skills afterwards. Be sure to take the mate who can’t stand the sight of blood with you and don’t let the rowdy one drink too much, or you will find him in the centre ring trying to win the title, so best leave the drinking for the club afterwards. 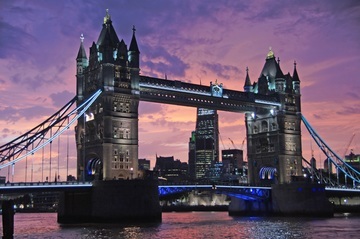 There are plenty of interesting, exciting and adrenaline-filled activities you could do in London, from cultural sightseeing and fine dining to running away from soccer hooligans‒ it has everything. Remember to play nice, respect their customs, and if anyone throws a pint at someone, you’re in for a fun night!